A adventure safari small group guided tour commences in Alice Springs and finishes at Ayers Rock Resort. This overnight adventure offers those short on time to explore Uluru and Kata Tjuta by commencing in either Alice Springs or Ayers Rock Resort or Airport and departing from Ayers Rock. Travel in an air conditioned four wheel drive and absorb the fascinating information of the area and its people provided by your experienced guide. Partiipate in an Aboriginal guided walk at Uluru and Dot Painting workshop. Experience the Uluru sunset and sunrise away from the crowds and spend the night in our remote campsite with your choice of swag or comfortable permanent tent with beds and dinner cooked over the fire. Departing Alice Springs bright and early, we hit the road on our adventure of a lifetime. (For those commencing the tour at Uluru we will collect you from the Outback Pioneer Hotel or meet you from your flight at the airport). Our journey begins heading south to E rldunda travelling through the Waterhouse and James Ranges with a stop at the Camel Farm for refreshments and a Camel ride if you're keen (own expense). We stop at Mount Ebenezer Roadhouse where you can view or purchase Aboriginal artifacts. On the way to Uluru we stop to view Atila (Mount Connor), a mesa tableland and the first significant rock formation of our trip. After a stop for lunch and our arrival at the Uluru - Kata Tju t a National Park, we travel to the base of Uluru where your guide will lead you on an interpretive walk, hearing of the Aboriginal law and religion (Tjukurpa) . Continuing on, we meet our local Aboriginal Guide who will provide a once in a lifetime authentic Indigenous cultural experience with an interpretive walk to Mutitjulu Waterhole where you will hear the stories of the unique landscapes, art and culture of the local custodians, the Anangu people. This experience is followed by a hands - on dot painting session where you will take your artwork as a memento of your experienc e. We conclude at the Cultural Centre, where you may explore the displays and learn of the flora and fauna of this unique area. 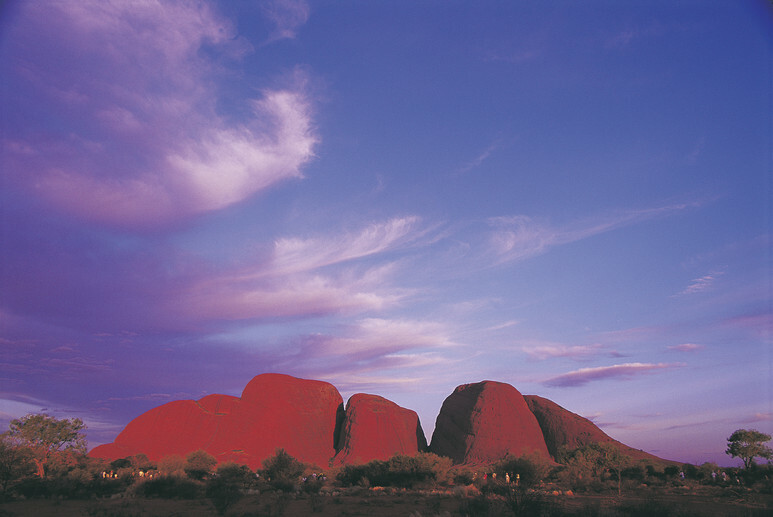 Experience the famous changing colours of Uluru at sunset , complete with sparkling wine and nibbles. It's a great time to kick back and contemplate the day and the vastness of the desert. Afterwards settle in at our remote private camp, complete with our signature Endless Star dining experience before retiring to your swag under the amazing night sky or your comfortable safari te nt complete with beds. Rising early, take a short walk to a lookout close to our campsite to view sunrise over Uluru and Kata Tju t a without the hustle and bustle of the public viewing areas before heading off to Kata Tju t a, an Aboriginal word for “many heads” and a walk through the "Valley of the Winds" to explore its domes of which there are 36 in total. We walk through creek beds, domes and beautiful wilderness. After the return transfer to Ayers Rock Resort your Red Centre experience comes to an end. • Booked and paid E-Ticket, Torch, wide brimmed hat, sunscreen, insect repellent, water bottle (1.5 litres), walking shoes/boots, sleeping bag (if you prefer to use y our own), toiletries, camera, comfortable and casual clothing for 2 days. 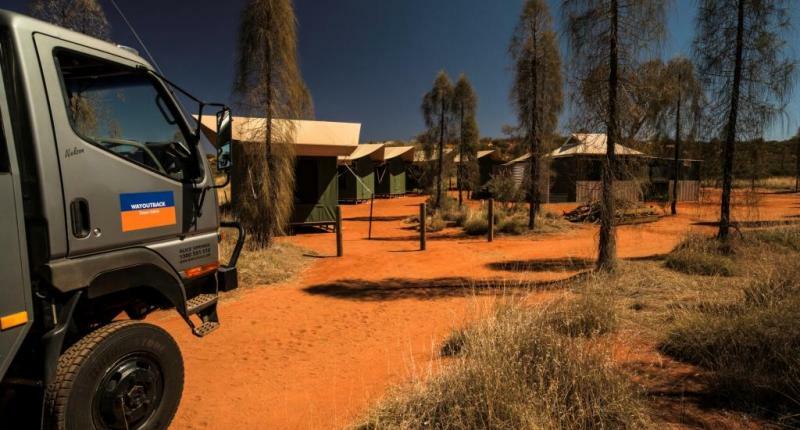 • Professional guide, travel in an air - conditioned 4WD vehicle, Aboriginal Guided walk and Dot Painting workshop at Uluru, all meals (as listed on itinerari es), camping equipment, including permanent tent with beds or optional swag, pillow, linen, sleeping bag hire, towel and drinking water (please provide your own bottle ) . • We recomm end guests arrive on the Jetstar or Virgin Aus tralia flights into Ayers Rock. Although we collect guests arriving on the later Qantas service please note guests will not receive a full experience at Uluru should they choose this service. • Clients joining at Ayers Rock airport or resort will do so after lunch and therefore lunch is at own expense. • Due to limited space on the vehicle please restrict luggage to a day pack and one soft overnight bag/backpack (maximum 10kg). Excess luggage should be stored at your Alice Springs accommodation. If commencing at Ayers Rock please ensure you have an overnight bag/backpack with the items you require for the 2 days packed inside as your large luggage will be stored in the vehicle and not accessible during the safari. • If commencing at Ayers Rock please ensure you have an overnight bag/backpack with the items you require for the 3 days packed inside as your large luggage will be stored in the vehicle and not accessible during the safari. 4WD Isuzu EcoV Trucks (21 seat). All of our vehicles have been modified or custom built to suit the harsh Australian outback conditions. Not all vehicles are late model, some of our budget tours operate older model vehicles, all of which are compliant with NT and federal laws and requirements. Please note: Some of these vehicles due to their age are not fitted with seat belts. All vehicles do however have forward facing seats, large windows to enjoy our wonderful landscapes and viewing wildlife, and microphones for commentary. Mitsubishi Canter and Isuzu 4wd trucks – ridge didge machines Our 14 - 21 seat, 4 litre Intercooled Turbo Mitsubishi Canters and Isuzu trucks are purpose built with a pod that carries passengers in the back along with 2 passengers seated in the cab with the driver. They are fully air conditioned with reclining seats, footrests, luggage storage area and kitchen space complete with a 100 litre fridge. They can carry 210 litres of fuel, 120 litres of water and come with window tinting, bull bars, spot lights and are built for the bush!